Maximum Operating weight 2500 Kgs. 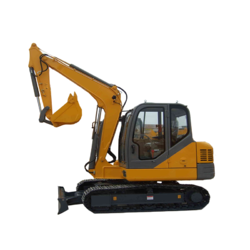 Mini Excavator can be used for Small size digging or demolition. 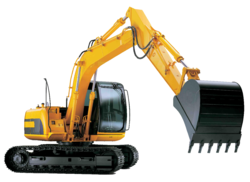 Because these excavators are smaller than other types of similar heavy equipment, they are generally used for small to medium-sized projects. TATA HITACHI and JCB are the renowned company in India. Drilling shafts for footings and rock blasting, by use of an auger or hydraulic drill attachment. 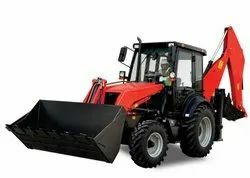 Backhoe Loaders are very common and can be used for a wide variety of tasks: construction, small demolitions, light transportation of building materials, powering building equipment, digging holes/excavation, landscaping, breaking asphalt, and paving roads. 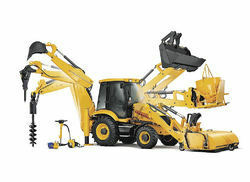 JCB is a renowned company. 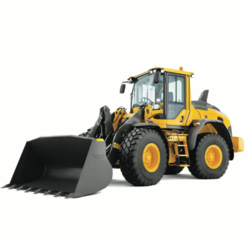 A Wheel Loader is a heavy equipment machine used in construction to move aside or load materials such as asphalt, demolition debris, dirt, snow, feed, gravel, logs, raw minerals, recycled material, rock, sand, woodchips, etc. TATA HITACHI and JCB are famous Companies in India. Maximum operating weight 7500 Kgs. Looking for Excavator & Backhoe Loaders ?